A new training facility and gym could be built by Northamptonshire Police in Kettering. 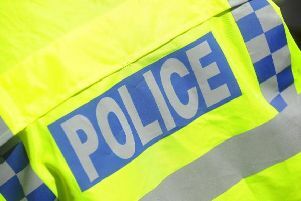 Police and Crime Commissioner Stephen Mold wants to build the facility at a plot adjacent to its new northern HQ and police investigation centres, which are being built in Cherry Hall Road off the A43. The proposed two-storey, 1,588 sq m building will feature a staff training centre, office accommodation with flexible classrooms and meeting rooms, a sports hall to double up as lecture theatre with retractable seating for 80 people, a fitness suite and gym. It is not known how much it is likely to cost. The first indication of the planned new training centre scheme came when plans were submitted to Kettering Council last week. No formal public consultation into the plans has yet taken place, although they are at an advance stage in the design process. Local businesses have been informed for planning consent reasons. The force is currently facing a £3.1m financial black hole - although £700,000 of this is described by the commissioner’s office as being ‘planned overspend’. It is not yet known how the training facility will be paid for, although it is likely to come from cash reserves which are thought to stand at about £7m once this year’s deficit has been plugged. The existing plans for the northern HQ were originally planned to cost £16.2m, but these are already £4.3m over budget, taking the overall cost to more than £20.5m. There is a legal requirement for police forces to provide training facilities for its officers, but it is understood the land in Northampton where the current facilities are based was sold off under a deal signed off by former crime commissioner Adam Simmonds. PCC Stephen Mold said: “I am committed to doing everything in my power to ensure that Northamptonshire is served by a first-class police force. There is a pressing need for a new Northamptonshire Police training facility in light of the move away from Wootton Hall and as such we have submitted a planning application to Kettering Council for a possible centre near to the new Northern Hub. You can view the full plans here.